I feel this weekend once again just flew by. that I thought I would do a whole outfit post. at a boutique here in Chicago. But lucky for you I found the best match ever! it that it can be worn casual or dressed up. with some elbow length gloves. I'd love to hear how you all wear capes! Such a cute cape! You look great! Love this outfit <3 So classy & stylish!! That cape looks so beautiful on you!!! You totally nailed this look!! Thank you nothing like a good cape to brighten up the winter!! What a perfect outfit! I adore your cape and purse poms! Thanks so much lady :) I love those pom poms too!! lovely outfit! this cape looks super cool on you! so chic! I have those Stuart Weitzman boots too and they are my life, I love them so much!! You look so great! Gahhh I know me too the best purchase I've made years ago!! 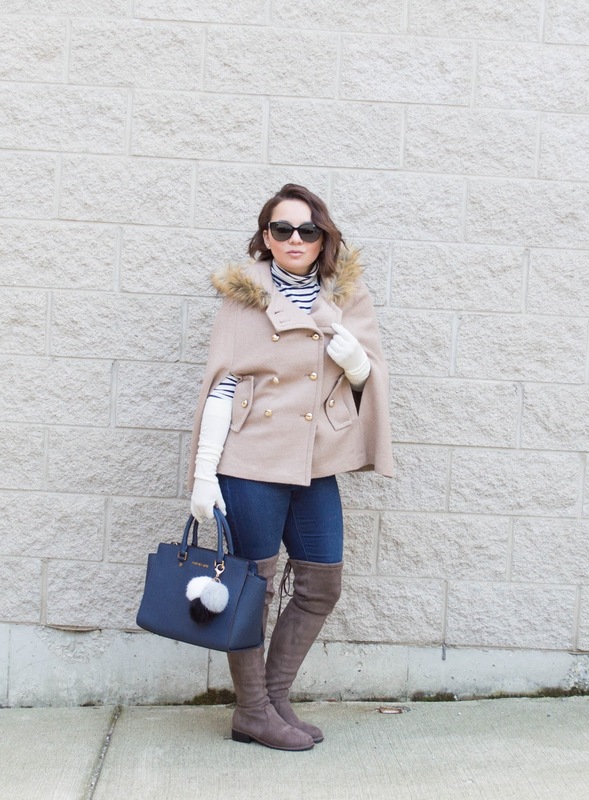 That cape coat is so cute, especially with the stripes peeking out! Thank you so much :) I love this cape and that turtleneck is super comfortable! Cute military look to the buttons on that cape! I'm crazy about your bag and this cape is so fun on you! This outfit is everything!! I've been on the hunt for a cape and for boots just like you have :) Love it! Love your boots! I've been wanting to get a cape, I like how you styled this, so classic! Thanks I love these boots too! 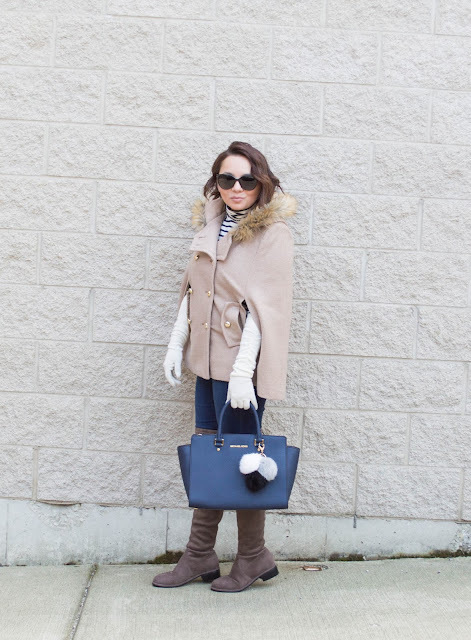 Stylish and chic winter look, Jessica! Beautiful colors. You look lovely, sweetie! 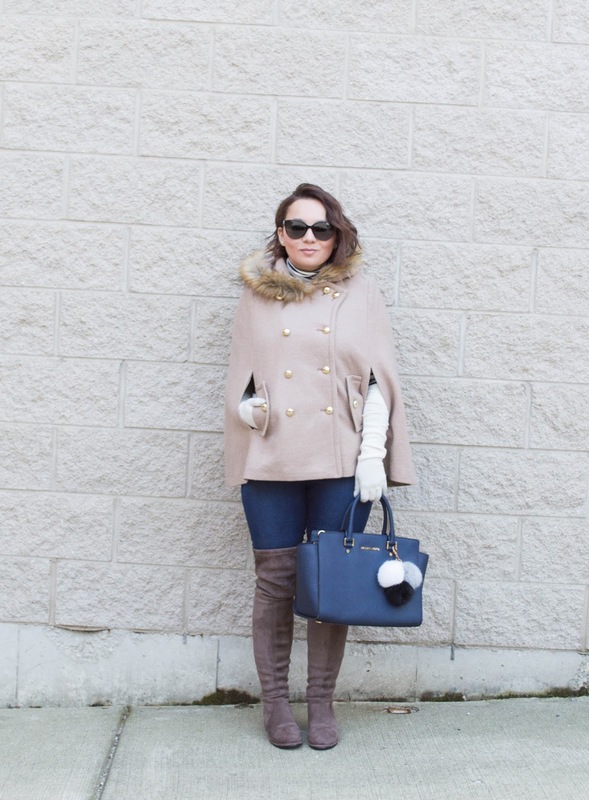 You look amazing and this cape adds lady like notes to the whole outfit! I love this cape! It would look so great dressed up for a fancy holiday party. Thanks I know I am def going to wear this one for the holidays for sure!! 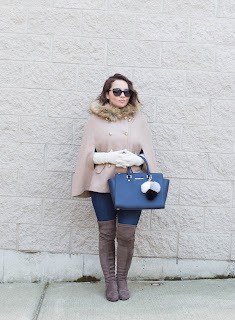 Digging the cape + those gorgeous gloves! Thanks so much lady :) Nothing like a cape to keep me warm! Great post. x That hand bag is really gorgeous! I love the look. I have always been a big fan of cape coats!